Kaydon's engineering expertise and experience extends to the Kaydon research, development, and testing labs. 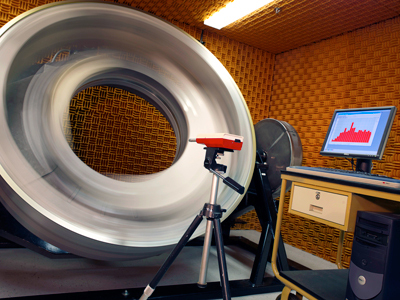 Kaydon engineers use advanced analytical tools and calculations to understand, test, and recommend the best possible bearing solution for each customer and application. Bearings, gears, bolts, and assemblies are evaluated on several factors that can impact performance, including strength and integrity, load and speed, torque and vibration, metallurgic and dimensional characteristics, and environmental impacts. Extensive testing is conducted to verify performance claims, ensure that custom specifications are met, and analyze failure and wear.